This subseries is intended for the publication of monographs and collected essays exploring scepticism in Judaism and, in general, in its dual manifestation as a purely philosophical tradition and a more general expression of sceptical strategies, concepts, and attitudes in the cultural field. Scepticism is understood here as the enquiry of a "perpetual student" who harbours doubts about different dimensions and systems of (secular or revealed) knowledge and raises the question of authority. It is not merely an intellectual or theoretical worldview, but rather implies an attitude towards life that provides the basis for numerous and diverse phenomena and informs essential processes and categorisations within Jewish philosophy, religion, literature, and society. Veltri, Giuseppe. Alienated Wisdom. Berlin, Boston: Walter De Gruyter, 2018. Idel, Moshe. Abraham Abulafia's Esotericism. On Secrets and Doubts. 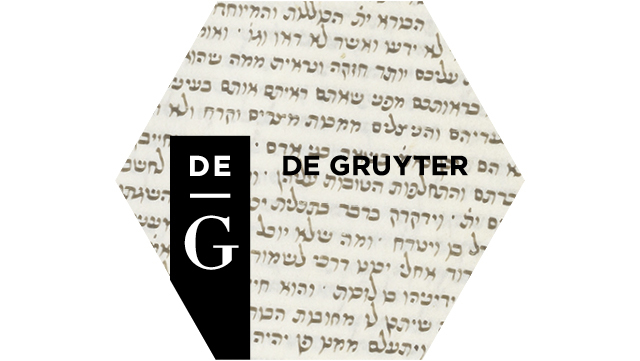 Berlin, Boston: Walter De Gruyter, forthcoming 2020. Haliva, Racheli, ed. 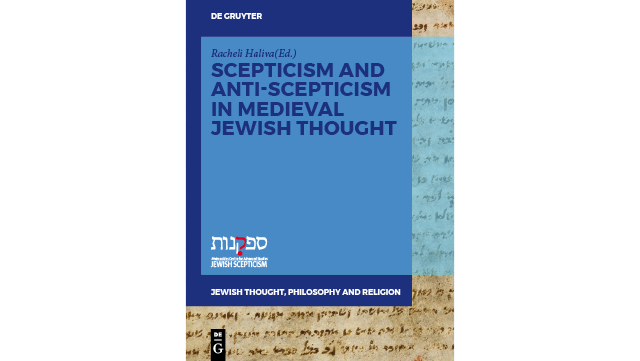 Scepticism and Anti-Scepticism in Medival Jewish Philosophy and Thought. Berlin, Boston: Walter De Gruyter, forthcoming 2018. Veltri, Giuseppe and Racheli Haliva, Stephan Schmid, Emidio Spinelli, ed. Sceptical Paths: Scepticisms from Antiquity through Early Modern Period and Beyond. Berlin, Boston: Walter De Gruyter, forthcoming 2019. Luzzatto, Simone. Socrates or on Human knowledge. The Serious-Playful Exercise of Simone Luzzatto, Venetian Jews (1651). Bilingual Edition, edited, translated, and commented by Giuseppe Veltri and Michela Torbidoni. Berlin, Boston: Walter De Gruyter, forthcoming 2019. Luzzatto, Simone. Discourse on the State of the Jews and in particular those dwelling in the illustrious city of Venice (1638). Bilingual Edition, edited, translated, and commented by Giuseppe Veltri and Anna Lissa. Berlin, Boston: Walter De Gruyter, forthcoming 2019. Aumiller, Rachel, ed. A Toucht of Doubt. Berlin, Boston: Walter De Gruyter. 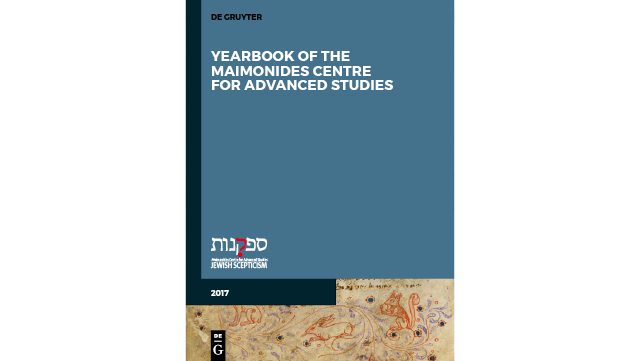 The Yearbook mirrors the annual activities of staff and visiting fellows of the Maimonides Centre and reports on symposia, workshops, and lectures taking place at the Centre. Although aimed at a wider audience, the yearbook also contains academic articles and book reviews on scepticism in Judaism and scepticism in general. Staff, visiting fellows, and other international scholars are invited to contribute. Articles will be peer-reviewed. This series of publications aims to present a wide spectrum of studies and texts related to Jewish thought, philosophy, and religion – from antiquity to the present. It seeks to highlight the multiplicity of approaches within Judaism and to shed light on the interaction between Jewish and non-Jewish thought. The series will include monographs, collected essays, and editions of sources submitted to or produced by staff and visiting fellows of the Maimonides Centre for Advanced Studies, as well as by staff of the Institute for Jewish Philosophy and Religion.